NOW YOU CAN HAVE YOUR PROBIOTICS AND MULTI VITAMINS COMBINED, IN JUST 1 TEASPOON A DAY! 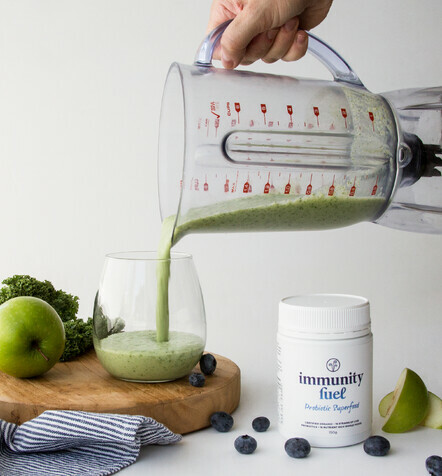 Immunity Fuel Probiotic Superfood is a 100% natural combination of billions of live bacteria (13 strains of Lactobacillus bacteria & 2 strains of Saccharomyces yeasts) and raw certified organic wholefoods. These are fermented together for 3 weeks during which time the bacteria pre-digest the wholefoods so the nutrients can be instantly absorbed by your body's cells. 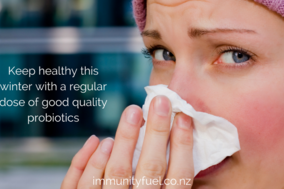 Immunity Fuel is New Zealand's premium, results oriented all in one natural probiotic and multi vitamin. More than just a probiotic. Available in the original formula, or the gluten free formula, this product is a powerful combination of probiotics, prebiotics, and raw wholefoods rich in good bacteria, essential amino acids, digestive enzymes and whole food nutrition. The gluten free formula is guaranteed gluten free, so is perfect for those with severe gluten intolerance or Coeliac disease. At Immunity Fuel we are passionate about the powerful healing benefits that can be derived from nature, and we believe all New Zealanders should be able to benefit from natural health. Our probiotic superfoods are a 100% natural combination of billions of good, friendly, organic bacteria, as well as certified organic wholefoods. With the increasing prevalence in New Zealand of metabolic disease, obesity, bowel cancer, mental health issues & digestive syndromes such as IBS & leaky gut, we must start thinking seriously about our health - and it all begins in the gut. Keep your gut healthy and your immune system strong to resist these common health issues with Immunity Fuel Probiotic Superfood. "Thank you for making such an awesome product. We love it!" "I love it. 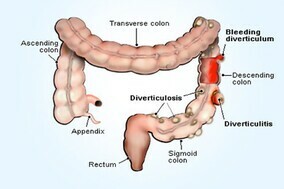 I have Irritable Bowel and have not had an episode since I started taking Immunity Fuel." "My Immunity Fuel is amazing ... so worth the money "
" I highly recommend this product, and wouldn't be without it." Over 80% of our immune system is in our gut so it is imperative to maintain a healthy balance of good bacteria. Immunity Fuel's living probiotics help support healthy immune function by providing essential enzymes, nutrients & friendly bacteria to balance the body & eliminate toxins. Immunity Fuel is manufactured in Australia via a special fermentation process called Floraferm. All of the ingredients are certified organic and the product is certified by the Organic Food Chain Australia. Immunity Fuel is GE Free. 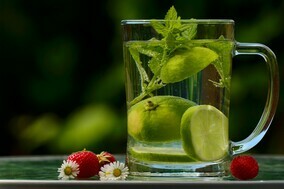 Only natural organic ingredients are used to make Immunity Fuel. It is completely free from any genetically modified organisms or genetic engineering, just as nature intended. Immunity Fuel contains 15 strains of living probiotics, which feed on the prebiotics which are also in the product. The live probiotics start work as soon as they enter the mouth, and keep working right through the entire digestive system. Only the finest grains, legumes, grasses, herbs, and spirulina available are used to make our products. They are fermented with the bacteria so the nutrients, vitamins & minerals can be instantly absorbed by your body without harsh digestion. Immunity Fuel probiotics & wholefoods are fermented together via an exclusive process called Floraferm, which ensures active, viable bacteria and pre-digested, natural nutrients. During the fermentation process the bacteria break down the wholefoods so the nutrients are readily available for your body to absorb. Our probiotics are 100% natural, raw and organic. There are no artificial flavours, colours or preservatives added, and it is GE Free, dairy free & vegan. There is also a Gluten Free formula. 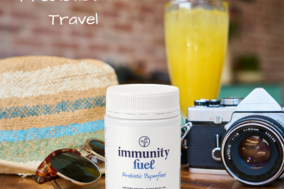 Immunity Fuel is rich in minerals, vitamins, essential amino acids & digestive enzymes. Every batch of Immunity Fuel is tested to ensure high numbers of active colony forming units (CFU) per gram. Each colony has about 1 million bacteria, and a 1 teaspoon serving has a minimum of 30 billion of live bacteria which constantly multiply, and can start working as soon as they enter your body. Replace live bacteria in your gut; Detoxify your body from chemicals and toxins; Clean out your digestive system and colon; Replace vital nutrients at a cellular level; Strengthen your immune system; Promote a healthy gut and digestion; Neutralize acids and alkalize your body; Give your body the tools it needs to heal itself. 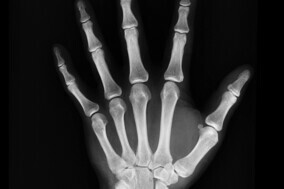 Are you looking to maintain or regain your health? Most people know that good health starts in the gut, and that it is important to have a balance between good and bad bacteria for the mind, body & soul. That is why taking a good quality, organic probiotic with LIVING bacteria along with fermented wholefoods should be a part of every body's daily diet. 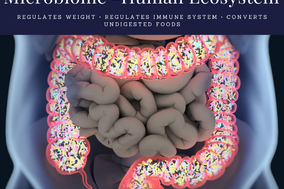 The live probiotics in Immunity Fuel have been bred to withstand the harsh gut environment, as well as severe heat, cold, and acidic conditions ensuring that they stay alive throughout the digestive system. The certified organic whole foods have been pre-digested by the bacteria so the nutrient value can be instantly absorbed and utilised by your body's cells. There is no longer the need to spend thousands of dollars on different probiotics, prebiotics, vitamins, and green powders, or for a different product for each member of the family - Immunity Fuel has it all. Containing probiotics, prebiotics, essential amino acids, digestive enzymes, and nutritious whole foods this all-in-one probiotic & multi-vitamin is certified organic and suitable for the whole family. 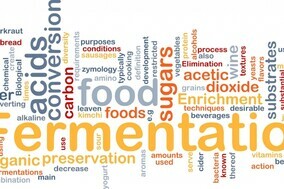 Why are fermented foods so good for us?